on the day when he drank the poison? to Phlius, and therefore we had no clear account. at the time, but long afterwards. What was the reason of this? on the day before he was tried. not put to death until long after he was condemned. Ech. 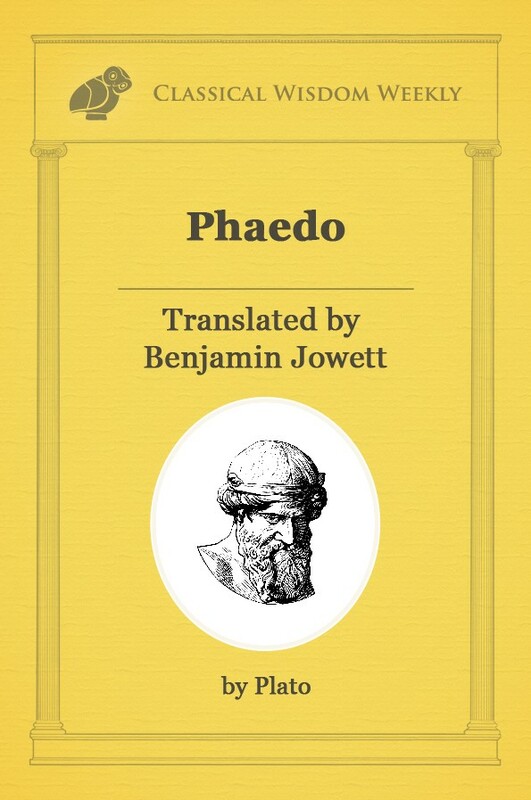 What was the manner of his death, Phaedo? What was said or done? by the authorities to be present? And did he die alone? Phaed. No; there were several of his friends with him. passed, as exactly as you can. I hope that you will be as exact as you can. but Plato, if I am not mistaken, was ill.
Euclid and Terpison, who came from Megara. Phaed. No, they were said to be in Aegina. Phaed. I think that these were about all. who pursues either of them is generally compelled to take the other. and also composing that hymn in honor of Apollo. his poems; which is the truth, for I knew that I could not do that. or nearly the same words: Make and cultivate music, said the dream. never take your advice unless he is obliged. Why, said Socrates,-is not Evenus a philosopher? the ground, and during the rest of the conversation he remained sitting. life, but that the philosopher will be ready to follow the dying? with Philolaus, never heard him speak of this? and the setting of the sun? them has ever made me understand him. benefactor, but must wait for the hand of another. guardians, and that we are a possession of theirs. Do you not agree? with him, and would you not punish him if you could? take his own life until God summons him, as he is now summoning me. man should sorrow and the fool rejoice at passing out of life. convinced all in a moment, nor by every argument. to fly away and lightly leave a master who is better than himself? as you acknowledge, are our good rulers. you think that I ought to answer as if I were in court? thing for the good than for the evil. us, that will be an answer to the charge against yourself. what Crito wants; he was going to say something to me. give the poison two or three times, if necessary; that is all. was obliged to satisfy him. out to be deserving of the death which they desire. anything more than nature needs? What do you say? the body and turn to the soul.